Today, November 27, is the 331st day of the year in the Gregorian calendar. There are 34 days remaining until the end of 2013. By now, tomorrow’s Thanksgiving meals and festivities are planned and, hopefully, under control. Tomorrow is also the first day of Chanukah/Hanukkah. What are you thankful for that you will be sharing with loved ones tomorrow? On November first, a friend asked me to list something each day that I'm thankful for. However, there was one caveat, I couldn’t simply be thankful for my husband, our daughter, family, or this group of talented writers. It had to be specific and beyond how I’ve been thankful for them in the past. For example: On the first day, I was thankful that I’m finally getting a handle on cooking for two after years of cooking for a larger family. Leftovers are fine, but not four days in a row. Naturally, I’m thankful for Jerry, my husband of 47 years who puts up with my love of trying historical recipes. He says more and more of them are "keepers." On the 19th, I was thankful that 44 years ago, God had already set into motion the answer to our prayers for a husband for our new-born daughter. He brought John, born in October '69, and Amanda, born in November '69, together 40 years later – a first marriage for both – in a way that can only be called a God-incidence. Truly an example that God’s timing isn’t ours. Early in our CFHS adventure, I wrote that I’m an ardent fan of the Harvey Girls and the empire that Fred Harvey built, including the Southwest Indian Detour Couriers. On the 20th, I was thankful for my mother preserving my grandmother’s box of “receipts” and passing these recipes on to me and my sister. Many of them are refined from my great grandmother’s recipes. Many of them still used weekly. 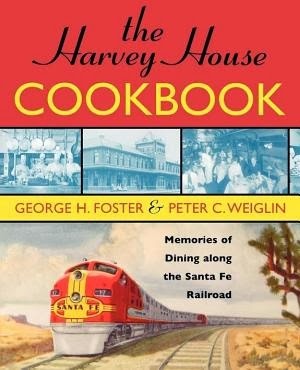 For fun, I consulted my print copy of The Harvey House Cookbook by George H. Foster & Peter C. Weiglin (1992, Taylor Trade Publishing) to see what would have been served at a Harvey House on Thanksgiving Day. 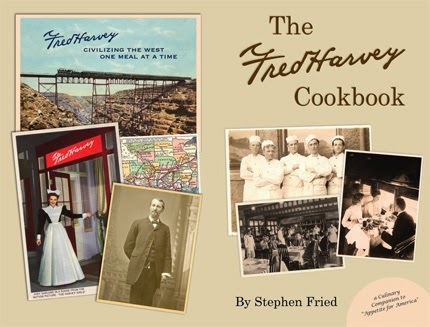 If you are interested in online recipes from The Harvey Girls Cookbook Project coordinated and compiled by Stephen Fried go to http://fredharveycookbook.tumblr.com/ or to the archives http://fredharveycookbook.tumblr.com/archive. This project posts original Fred Harvey recipes daily, and test-drives them weekly in their Test Kitchen. I found a menu from the El Tovar-Grand Canyon Thanksgiving Dinner, November 27, 1930. The menu was the traditional turkey with stuffing and gravy; cranberry sauce; mashed potatoes; sweet potatoes; winter squash; yams; corn; green bean casserole. Dessert was traditional also with pumpkin pie; pecan pie; sweet potato pie washed down with apple cider. 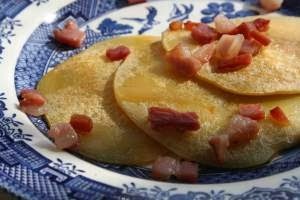 Dinner isn’t the only meal of the day so I decided that we’ll start tomorrow’s festivities with the Harvey Girl Special Little Thin Orange Pancakes served with maple syrup and bacon crisps. I love reading old recipes. Deciphering some of them can be challenging as well as interesting. How often do you serve Alligator Pears? 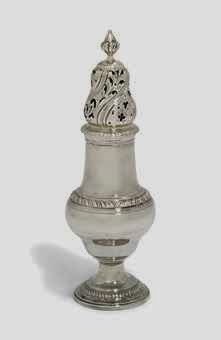 Do you have a caster on your table? Before supermarkets sold different varieties of sugar, cooks used a "caster" or "castor" to separate very fine grains of sugar, creating what we call "superfine" sugar. Since smaller grains dissolve more quickly, superfine sugar is used for delicate foods such as meringues. Probably no one uses casters anymore because superfine sugar can be bought or even "confectioner's" sugar, which is even finer. However, to create a little superfine sugar out of normal table sugar by grinding it in a food processor, a caster could be used to help filer the sugar being ground. Interest in the Harvey Girls isn’t waning. 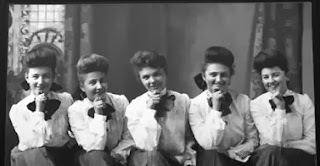 In the 1880's, over 100,000 young women worked as waitresses along the transcontinental railroad opening the doors of both the West and the workplace to women. A new documentary, 'The Harvey Girls: Opportunity Bound' will air on PBS channel KCPT, tomorrow night, November 28 at 7pm. Katrina Parks <katrinaparks@mac.com>, Director/Producer, has put up information about the documentary on Facebook at https://www.facebook.com/HarveyGirlsDocumentary, where an up-to-date list of events and all the press is available. DVDs of the documentary are for sale. The film made its debut this summer at the National Archives in Kansas City, in conjunction with their exhibit on Fred Harvey, The Man, The Brand, and the American West. The exhibit will be up through January 4, 2014. 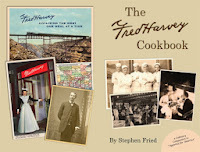 The film explores the life of Fred Harvey and his company which left its mark by not only providing work opportunities for women, but by being among the first companies to promote cultural diversity in the workplace by hiring Hispanic and Native American women to be waitresses along with their Anglo peers. The Harvey Girls, whose workforce continued to flourish until the 1960s, were true pioneers and set a new standard of excellence for women in the workplace, paving the way for generations of independent young women to come. For a sneak peek of the documentary go to http://www.harveygirlsdocumentary.com. 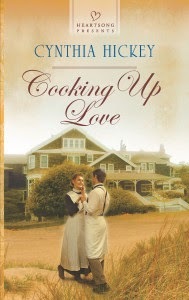 Don’t forget Cynthia Hickey’s book featuring the Harvey Girls Cooking Up Love (Heartsong Presents, July 2013) for a bit of sweet indulgence after the day is done. Reward yourself. Cynthia is the CFHS Blogger on the 3rd of each month. Oh, by the way, an Alligator Pear is an Avocado. My give-away this month is a $20 Amazon gift certificate. Leave a comment for a chance to win. This year, Lin and Jerry celebrate their third Thanksgiving in Chimney Rock, Colorado. When she isn't researching the many fascinating things in and around their ranch, she is working on her new series Voices in the Desert. The first book, Treasures Among the Ruins, is set in 1926 and introduces Cornelia Miller and her adventures as a Southwestern Indian Detour Courier. The other four books span the years 1928-1932. Linda, Happy Thanksgiving! I love your post! I am a recipe lover from way back so anything that has to do with recipes or recipe books or cooking....I am there! Recipes from days gone by are so interesting and I love to read what people might prepare for their family or holiday meals. Thank you for a great post and for what you do. Good morning Melanie, thank you for stopping by. I appreciate your comments. I'm a recipe lover, too. My husband, Jerry, asked if my extensive collection should be put in our will so he'd know how to distribute it should our Lord let me go home first. You know, that's not a bad idea. It did make me go through my loose leaf paper stack and weed out the duplicates and make folders for folks I know would use particular recipes. I've put yo in the drawing. What's your favorite recipe of all time? Happy Thanksgiving Linda and thank you for your post today. I too love recipes. When I moved from California to Indiana I lost pretty much all of my recipes. I had three recipe card 'sets' and probably over 20 cookbooks. I got here with two.The movers 'pilfered' our packed boxes and left a lot of our stuff behind and kept other stuff. It was a nightmare. That was over 12 years ago and I have replaced a couple of the favorite books over the years. I did get my family recipe card box though and that was the MOST important. My dad was a great cook and he created a lot of recipes and I have his original cards which is extra special since he is no longer with us. Thank you for the information about the Kelly Girls. I have always enjoyed movies about the Kelly Girls (one with Judy Garland I think comes to mind). I will try to tune into the film. Hi, Cindy. You are most welcome. I almost stopped in the middle of developing the post to go fix pancakes. I hope your Thanksgiving Day yesterday was wonderful. Your recipe heartbreak must have colossal. I've heard moving horror stories and dreaded our move from Austin, TX to Chimney Rock, CO. What a blessing that your husband loved to cook and wrote his recipes. That is a treasure indeed. I still watch the Judy Garland movie about the Harvey Girls. Katrina Park's documentary was very good. I've put you in the drawing. Look forward to visiting with you again about future posts. What a delightful post, Linda! I am also a recipe lover. How wonderful that your mother preserved your grandmother's "receipts" and passed them on to you and your sister! Those handwritten recipes are such treasures and full of love and memories. Thank you for sharing the Harvey Girls documentary information and sneak peek, as well as the reminder about Cynthia's book, COOKING UP LOVE! So many great things to look forward to!! May you and your family enjoy a joyous and blessed Thanksgiving! Thank you, Britney. I hope your Thanksgiving Day was terrific. I finally got wise and made an electronic file for the old handwritten receipts. It never fails that I find a great recipe in magazines in the doctor's office that I can't take with me or rip out the page. I've found that I can take good recipe pictures with my iPhone then email them to myself. The pictures print up really good. I've put you in the drawing. I look forward to visiting with you again in future posts. I'm so glad I dropped in and read about the PBS Harvey Girls' special tonight. I'll be watching for it! Since I am a contributor to the blog, please don't enter me in the giveaway. I just wanted to pop in and thank you for letting us know about the documentary.Thanksgiving blessings! Hi, Golden, so good to hear from you. I hope your Thanksgiving was delightful and filled with blessings. I was able to go to a friend's house in Bayfield to see the documentary. Their PBS comes out of Albuquerque and ours comes out of Denver (who didn't list the showing). I wish I could have been in Austin for your presentation May 19th 2012 on the Hero's Journey. 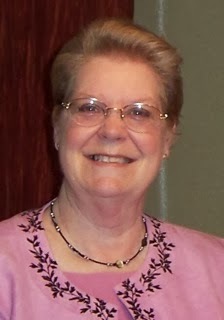 I'm the webmaster for the CenTex Chapter of ACFW. Looking forward to your post on the 17th. Hi Linda! I enjoyed your post, and I'm wondering if you know where the word "receipts" (instead of recipes) came from. Or maybe the word "recipes" evolved out of that. My mom used to write the word "receipt" when she gave me a recipe, and so did her mother. My grandmother was German, so I wonder if "receipt" was from the German word (?) Anyway, thanks for all the info. I like the Harvey Girls too-- such an interesting era. Hey Donna, so glad you dropped in. Thanks for your kudo. Always glad to find another fan of the "Girls". In high school Latin class I was told that recipe was from recipere, to take or receive. I know that Chaucer in Canterbury Tales (1386) used it to mean a prescription - yes, we had to translate some of his works. Since the 18th century, recipe was used interchangably with receipt when it referred to cooking. Over time recipe began to mean the cooking instructions. I have a feeling your German grandmother experienced the same Latin influence we did here. I've put you in the drawing. I look forward to visiting with you again in future posts. I've put you in the drawing. I look forward to visiting with you again in future posts. Hi Eliza, good to see you again. Thank you for your kudos. It's a lot of fun to develop the posts, and I'm looking forward to next year. I've made my half-year list of topics and, hopefully, I'll have a nice variety of posts. I'm inclined to focus on my new home state Colorado because there it's so different from Texas. So, hopefully, I can keep it balanced. I've put you in the drawing. I look forward to visiting with you again in future posts. Hi Kathleen, thank you for sharing this post. I hope your Thanksgiving Day went exactly as you planned. You might enjoy signing up for the emails from http://fredharveycookbook.tumblr.com/. As new recipes are added, they will send an email. They will also tell you if they do it in the test kitchen. They discovered that two depots here in Colorado were Harvey establishments and recipes should be coming from there soon. So many of the recipes are regional. That really makes it fun. I've put you in the drawing. I look forward to visiting with you again in future posts. Happy Thanksgiving ! I love anything cooking, baking and old fashioned... You book looks so good to me and I am glad that you shared here so we could come and read and learn new things. I had never heard of the Harvey Girls ! Hi, Linda. It's always fun to hear from another Linda. Since I'm learning to cook for two - most of the time - I've become more aware of newer recipes. I wish I could find a reliable chart of cutting down recipes. My dad was a baker in the Merchant Marines and mother cooked like she was feeding the fleet. Thankfully, Jerry works off my meals with mega leftovers on the ranch, while I'm learning to down-size. I've put you in the drawing. I look forward to visiting with you again in future posts. Happy Thanksgiving Linda, thanks for your post today and your recipes too...I am not much of a cook and am always looking up recipies. I like to just throw things together also and am surprised when it taste pretty good. Good afternoon, Paula, I hope your Thanksgiving was delightful and all you wanted it to be. My husband and daughter can do that, too, and it comes out wonderful. Y'all have that knack! Me, I have to follow the recipe so close I wear a hole in the page every time I use the recipe. You might enjoy signing up for the emails from http://fredharveycookbook.tumblr.com/. As new recipes are added, they will send an email. They will also tell you if they do it in the test kitchen. I've put you in the drawing. I look forward to visiting with you again in future posts. Thank you, Michelle. I have you and yours had a delightful day. I've put you in the drawing. I look forward to visiting with you again in future posts. Thank you for your kudos, Snowflakes2Hotcakes! I'm a fan of your blogspot. You reminded me of my Dad's Cinnamon Rolls when you gave the Cinnamon bread recipe from the Pioneer Woman. Dad was a baker in the Merchant Marines and we had fresh breads of all kinds when I was growing up. He perfected a roll recipe for our family of five that was foolproof even for me! I've put you in the drawing. I look forward to visiting with you again in future posts. I never heard of the Harvey girls until I started reading to CFHS this summer and the more I hear/read about them the more fascinated I get! I wish I lived in Kansas City. I'd love to see the documentary but I don't even know if we have a PBS Tv station in OKC. Thank you for piquing my interest for more "anything Harvey!" Have a beautiful thanksgiving and thanks for the chance to win the gift card! Hi, Kam, it's so good to see you again. And, thanks, Kathleen, for your comment and help. We were traveling earlier in the week and I'm just now back at my computer. Kam, I hope you were able to see the documentary. It was quite interesting. You might enjoy signing up for the emails from http://fredharveycookbook.tumblr.com/. As new recipes are added, they will send an email. They will also tell you if they do it in the test kitchen. I've put you in the drawing. I look forward to visiting with you again in future posts. What a great post, Linda. I'm so thankful that I read it. I had never read of the Harvey Girls so that was quite interesting to me.I would love to win the gift card. .
Hi Jo, glad you stopped by. There is so much to know about the Harvey Girls that I'm not surprised that new information and documentaries are still being presented. I've put you in the drawing. I look forward to visiting with you again in future posts. Hi Kathleen, thank you for your kudos. My grandfather worked on the Cotton Belt Railroad as did his father. I guess love for railroads and things associated with them is in the blood. My Dad was a baker in the Merchant Marines and we had fresh breads of all kinds when I was growing up. Be sure hubby's Apple Bars are written down and saved for those great grandkids. I've put you in the drawing. I look forward to visiting with you again in future posts. Old cookbooks are neat. It especially fun looking through old cookbooks put together but churches and civic organization and such. Family recipes are great. We have a sugar cookie recipe that we pull out every Christmas season. Hi Patty, the old cookbook aisle is the first place I hit when we go to flea markets and antique shops. I found several published in the late 1800's being sold for pennies. Yes, I snapped them up before the seller could change his/her mind. I'm partial to church/community cookbooks as well. I've put you in the drawing. I look forward to visiting with you again in future posts. Happy Thanksgiving, my favorite holiday of all. I just love the harvest time and all the beautiful colors during this time of the year. I really enjoyed the stories, especially the Harvey girls. The posting is very interesting, thanks for sharing. Hi Marjorie, I hope your Thanksgiving was wonderful. Now that we live in Colorado, we are able to experience the season changes. I hope I never get tired of seeing the changes. Still don't like the mud after the snow melt, but as soon as I figure out how to get mud to work in my favor, it will be great ! :) After all these years, I'm still finding out new information about the Harvey Girls. I've put you in the drawing. I look forward to visiting with you again in future posts. When I majored in Home Economics in the 70's, I came across the requirements for teachers in the 1800's...sure glad I was born much later! Howdy Melody, thanks for stopping by. When I took Home Ec in high school in the mid-60's I felt the chains to the kitchen stove rattling. I would have never made it in the 1800's. I was one of those rejoicing over TV dinners. You can imagine my elation when the microwave hit the shelves. Now that my senses are restored, I do enjoy cooking the old fashioned way - on the stove top! I've put you in the drawing. I look forward to visiting with you again in future posts. Thanks for this very interesting post. Several years ago, my book club read a book about the Harvey girls (I think it was by Tracie Peterson). We took a trip to Florence, Kansas to a Harvey House museum. It was really fun to see some of the actual items that were used at the Harvey house there. I also find old cookbooks fascinating. I like to read them but stick to more modern recipes for cooking. Hi, Pam. You are most welcome. Thank you for the kudo. I hope you read all of the books in Tracie's series. I visited many of the museums that have Harvey House items. It all feels so recent that it's hard to realizes that it's so long ago. The documentary last night reminded me that Fred Harvey Company still had a lot of Harvey Girl enterprises going on in the 1940's. I've put you in the drawing. I look forward to visiting with you again in future posts. Thank you, Chris. I appreciate the kudo, and the blessing. I've put you in the drawing. I look forward to visiting with you again in future posts. Howdy, Maxie, great to hear from you again. Alligator Pear rather fits the Avocado, don't you think - rough skin and all. One of these days I'm going to make a list of all the interesting terms used in old cookbooks and ow they translate into today's recipes. There seems to be a revival of Harvey Girls info and more museums are creating displays and exhibits. I've put you in the drawing. I look forward to visiting with you again in future posts. Got ya on the list. Hi Kelly, you are quite welcome. Thank you for the kudo. I'm more of the 30 minute cook on a daily basis, but really enjoy putting on a spread for friends. Our family is spread out and live plane rides away, so we don't get together very often. I've put you in the drawing. I look forward to visiting with you again in future posts. Well, I was so bummed. Our PBS Channel didn't carry the Harvey Girls documentary! Maybe I can find it elsewhere. But thanks again for the informative post about these ground-breaking women. Aw-w, sorry about that Golden. Our Denver station didn't carry it either, but was able to see it at a friend's in town. It was a delightful presentation. I'll send and email to Katrina Parks, the producer, and see if she knows of any other showings. She does have it available on DVD, but I have a feeling that it's not finished being aired. Hi everyone, I hope your Saturday has been bright, sunshiny, and warm. Everything here is almost ready for Sunday. I still have to wrap some gifts for our church angel tree. Jerry chose a boy and girl, both 6 years old, who has a parent in jail. We have been participating in this for several year, but this year we hope to help with the home deliveries. Congratulations, Marjorie, you are the Amazon gift card winner. As a reminder, we use Random.Org - http://www.random.org/ - to select the winner of the CFHS giveaways. FYI, Golden Parsons is a CFHS Blogger on the 17th of each month so she doesn't get numbered or counted. I numbered each person in the order they posted. Random.Org selected #15 - Marjorie. Thank each of you for stopping by and commenting. I enjoy hearing from you and your return visits are such a blessing. See you on the 27th of January, Lord willing.